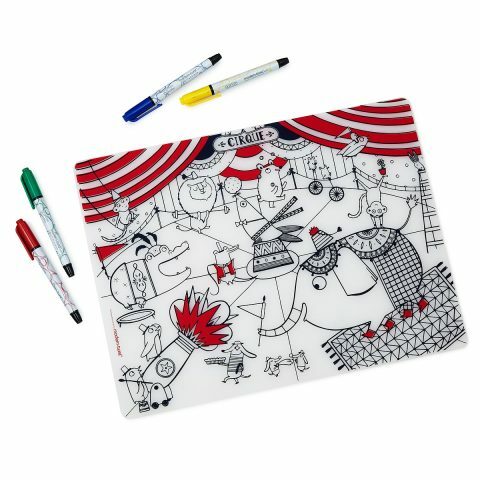 Your child can work on their numbers with one mat or just enjoy the circus with the other. Each is made with food grade silicone. While mommy and daddy are busy getting dinner on the table a child can be coloring the cheerful animal characters. The mats can be taken along when going to adult restaurants, grandma's house, or even day care. Once the meal is over the mat can be wiped clean or even thrown in the dishwasher. 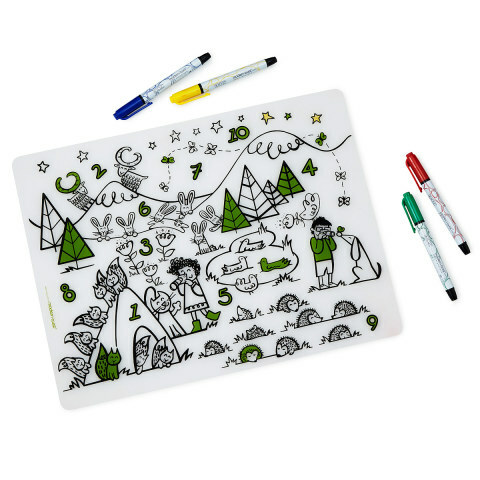 The mats are free of BPA, PVC, lead, latex, and phthalates so that you've got this parenting thing covered.